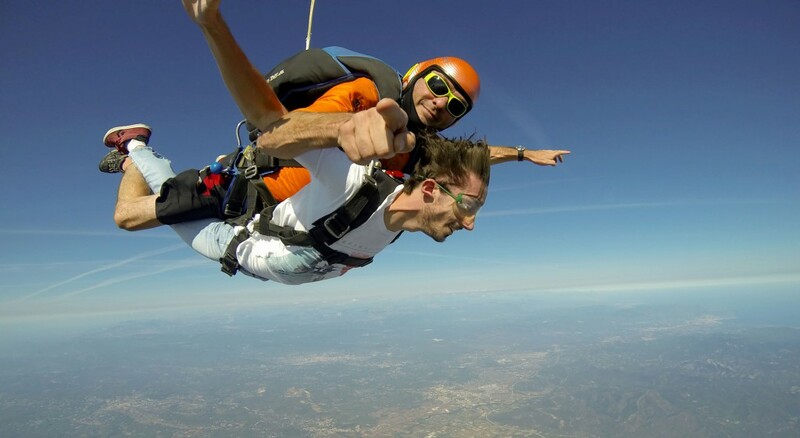 You have always dreamt of skydiving and are now ready to jump? 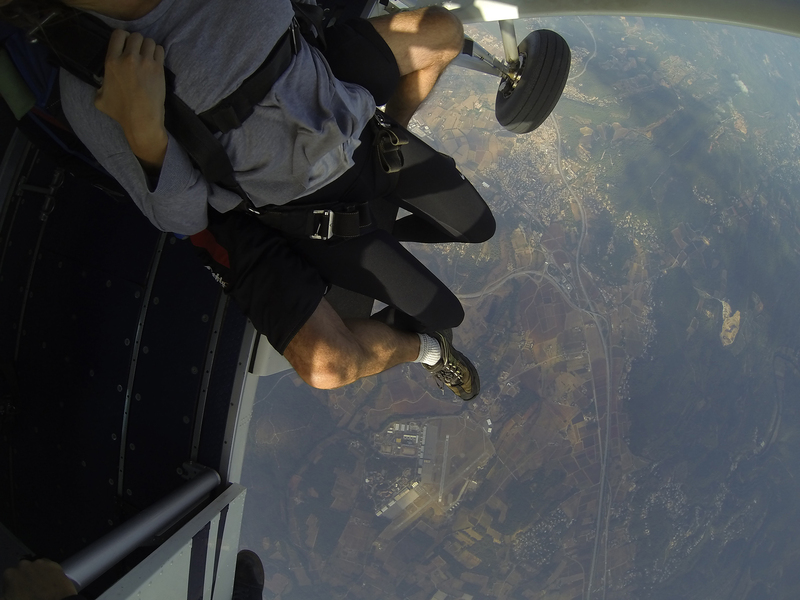 Come and live a lifetime experience by jumping from an airplane at 4000 meters (13,500 feet). Man has always dreamt to fly and free fall is the best way to fulfil this dream. 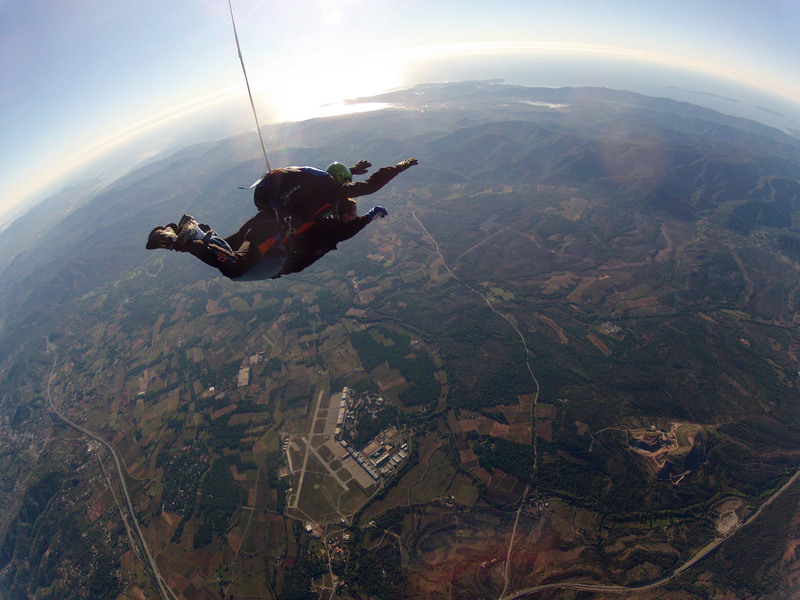 Come to tandem skydive to discover unforgettable sensations! 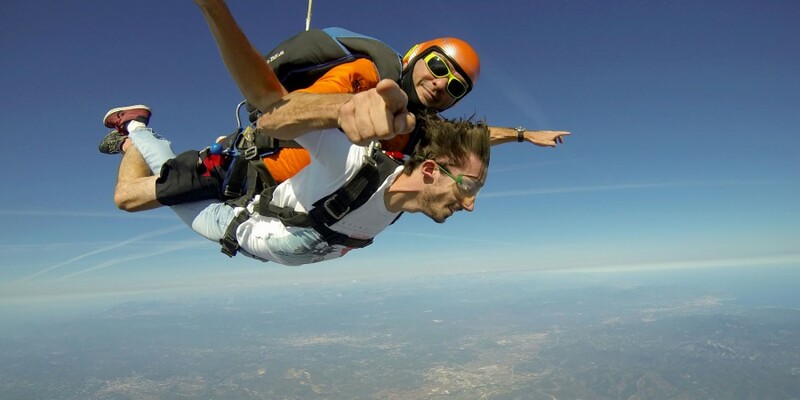 Tandem skydiving allows you to experience freefall safely and without any prior constraints. Our instructors totaling several thousand jumps will take care of everything so that your jump takes place in the best conditions. For those who wish to become more involved in the realization of the jump, it is proposed the first jump of Accelerated Free Fall (AFF). After planning your jump with us, you will arrive on the appointed day to the drop zone (Le Luc or Gap-Tallard) where you will meet your instructor. After filling out the paperwork, your coach will make you a complete briefing of the tandem jump for 15 minutes. When the time comes, your instructor will equip you with a harness specially designed to be secured with four anchor points on the front of the instructor’s rig. Each anchor point can withstand 1 ton! Then you will board the plane that will bring you 4000 meters high in about twenty minutes. Then you can enjoy the sights of the French Riviera (Cannes, Frejus, Toulon, Saint Tropez, etc.) or the Alps (Gap Tallard, Embrun, the dam of Serre-Ponçon, etc.) depending on the drop zone you choose. During the ascent you will sit in front of the instructor who will attach your harness to his own. He will be behind you for the whole length of the jump. Once you have reached 4000 meters, you will be seated at the door of the plane and will jump for fifty seconds of free fall. At 1500 meters, the instructor will open the parachute and you will enjoy the flight underneath a canopy before returning to the ground with a soft landing. To keep the memory of this unforgettable experience, enjoy optional video of your jump. A professional videoman will accompany you to film every step of your jump, from the equipment stage on ground to the landing. You will leave with HD video of your jump and hundreds of HD photos (surcharge).